TechLine Mfg. 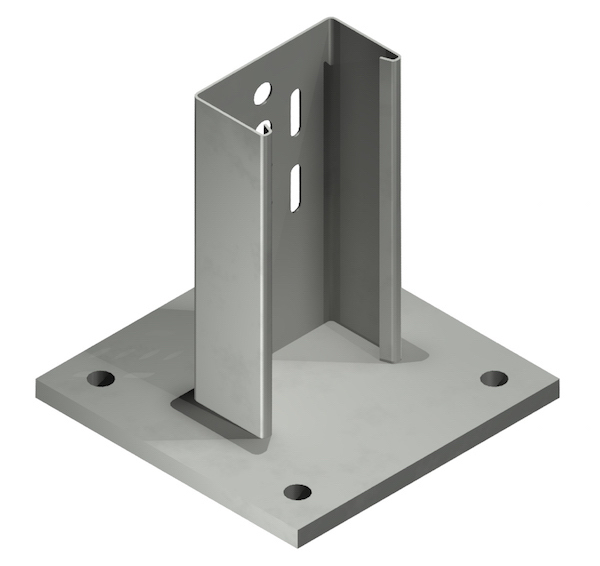 offers various supports for its Snap Track products including hangers, brackets and clamps. Supports should be located so that connectors (splice joints) between horizontal runs fall between the support point and quarter point of the span. The Support Span should not be greater than the straight section length. Snap Track tray standard 20’ lengths. (2) Patented Push Pins are provided for a secure attachment. Attaches vertical runs to the foundation on an 8” X 8” base plate.